Paul Re, MD is a Fellowship Trained Sports Medicine Surgeon specializing in complex arthroscopic surgery of the Shoulder, Knee, Elbow, Ankle and Sport Medicine Arthroscopic Reconstructive Surgery. 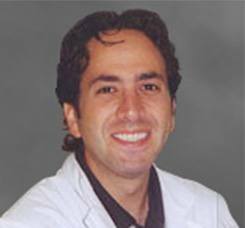 He is a Board Certified Orthopedic Surgeon by the American Board of Orthopedic Surgery (ABOS). He is one of less than 3000 orthopedic surgeons who hold a second Board certification specialized in Sports Medicine (ABOS-SM). He is a fellow of the American Academy of Orthopedic Surgery (AAOS), a member of the Arthroscopy Association of North America (AANA) and the American College of Sports Medicine (ACSM). Dr. Re received a combined Pre-Med/Economics B.A. from Columbia College, Columbia University. Dr. Re graduated from the College of Physicians and Surgeons, Columbia University. He completed a Molecular Biology Research Fellowship at New York Orthopedic Hospital, Columbia University. He graduated from the Combined Orthopedic Residency Program of Harvard University and was chosen to be Chief Resident at the Massachusetts General Hospital. He completed a Spine Fellowship at the Brigham and Woman's Hospital. Dr. Re completed a Sports Medicine Fellowship at New England Medical Center/ Tufts Medical School. He is currently on staff at Emerson Hospital where he is the Director of Sports Medicine, and Assistant Chief of Surgery. He also has privileges at the New England Baptist Hospital and Mount Auburn Hospital. Dr. Re has 5 issued patents for sports surgery and 8 patents in review. He has published extensively including articles on shoulder surgery and, anterior cruciate reconstruction. 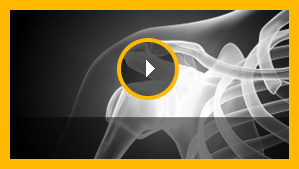 He continues to teach and lecture nationally about shoulder and knee surgery.